USS Hawkbill (SSN-666), a Sturgeon-class nuclear attack submarine, was the second ship of the United States Navy to be named for the hawksbill, a large sea turtle. The name perpetuated the inadvertent misspelling of "hawksbill" in the naming of the first ship of the name, USS Hawkbill (SS-366). 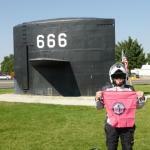 Hawkbill (SSN-666) was sometimes called "The Devil Boat" or the "Devilfish" because of her hull number (666), an association in Christianity of the number 666 with the Devil and the Antichrist (Revelations 13:1-18). The contract to build Hawkbill was awarded to the Mare Island Division of San Francisco Bay Naval Shipyard in Vallejo, California, on December 18, 1964. Her keel was laid down there on September 12, 1966, and she was launched on April 12, 1969. The Hawkbill served 29 years of missions in the US Navy and traveled an estimated 1.5 million miles. Much of what the Hawkbill did on her deployments remains classified to this day, but her service and that of her crews significantly contributed to our country's victory in the Cold War. She was decommissioned on March 15, 2000, the last of the "short-hull" Sturgeon-class attack submarines to be decommissioned. 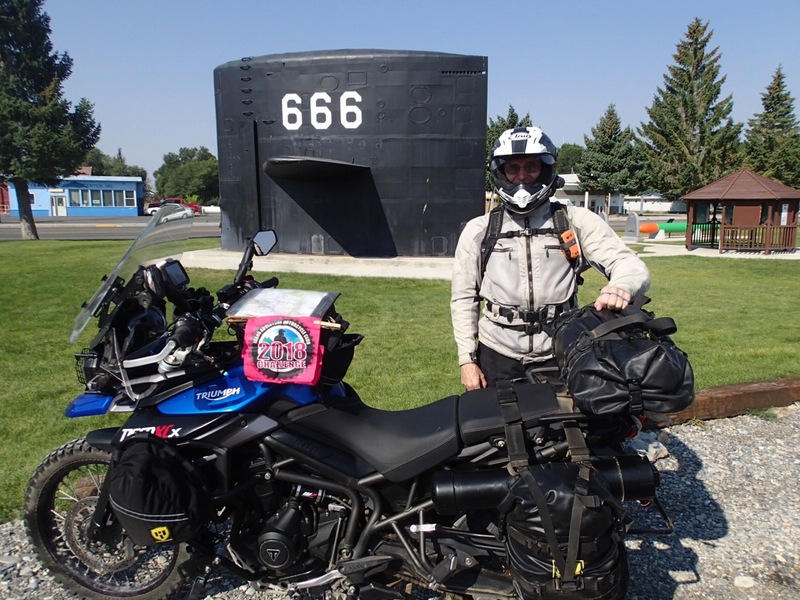 Located in the city of Arco, ID, the so-called Devil Boat (otherwise called the ‘Submarine in the Desert’) is actually the preserved conning tower of the submarine USS Hawkbill (SSN 666). 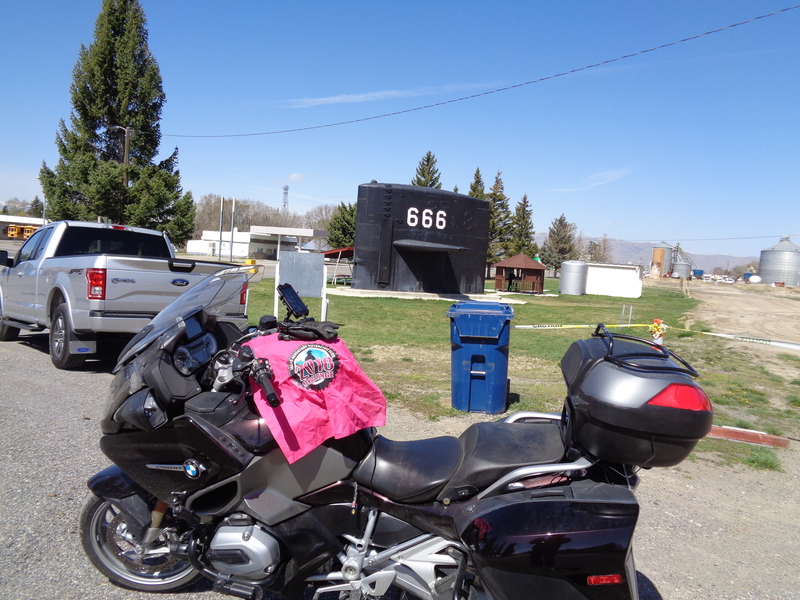 The number 666 displayed on the tower was actually the boat’s serial number. 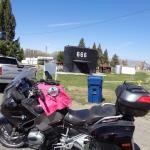 The monument was dedicated July 19, 2003, at the roadside Arco park to honor the city’s long association with the Navy and the nuclear fleet in particular. 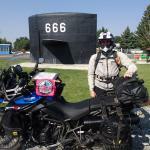 Photo taken August 10 on a 7 day group ride to get 19 challenge sites.